Any estimated price for those yet? I would consider one of each if they aren’t too pricey. Somewhere between $55 and $65 for Driver is my best guess. Partly depending on size of THP logo as stitch count goes up. Which is pretty darn low if you follow the price of custom covers. I’m mobile so not sure if you are an Albatross Club Member but there is a 20% discount on store items. Sounds reasonable. Yes I am in the Albatross Club. I would most likely go for driver, 3w al least. That would be a great price if they fall around that range. I definitely love to see a driver, 3 wood and hybrids. But will take what I can get get. I was going to buy a Callaway masters custom cover last week......$165......sheesh. 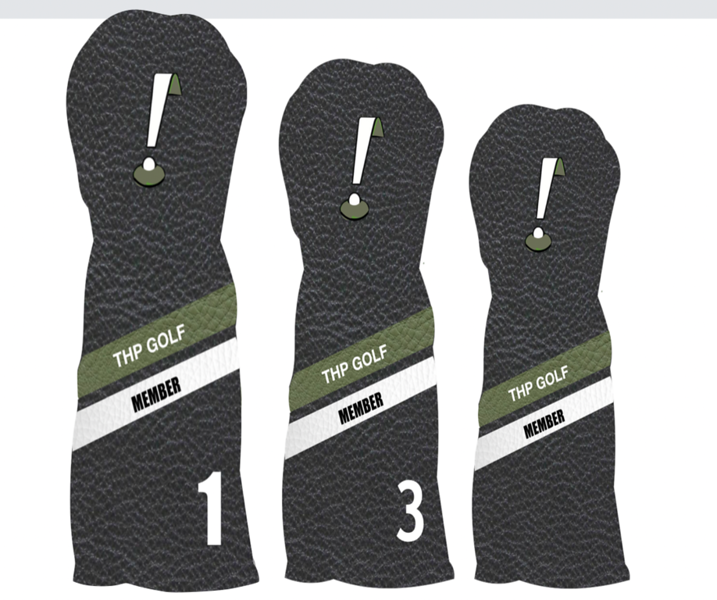 putter covers...$135. I'm all in on those! Looks awesome and would order one when they become available for sure. Been working with the company Cru on a new design for a THP Driver cover and wanted to show what we have come up with. We were looking for something classic, but still let THPers show off being a member. While 3 sizes are pictured, we are thinking only going with the driver. This is the same company that made the Morgan Cup covers and the quality was awesome and you can see the stitching in those photos as well.